This online repository holds research conducted for a Doctor of Philosophy in Art, Design and Media at the University of New South Wales, Art and Design. It consists of visual and audio data, observations and reflections accumulated during the investigation of sites in Langshi Village of Guilin in China, Hill End in New South Wales and Fig Tree Cove, New South Wales. The progress of artworks created in situ and in studio is also documented here. A small village on the east bank of the Li River in Guilin. I stayed here in October 2017 and October 2018 for five and three weeks respectively. 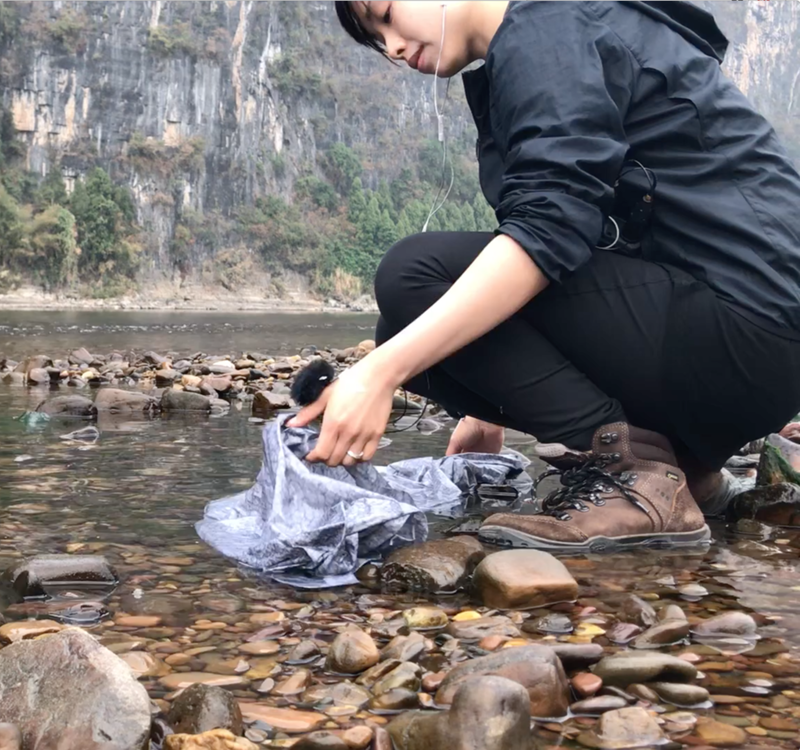 Surrounded by karst mountains, a river and bamboo, I responded to the living landscape shifting in a constant flux around me. A historic mining town, Hill End in regional New South Wales was made an icon in Australian landscape history by artists such as Russell Drysdale and Donald Friend. A residency at Murray's cottage in the summer of 2016-17 enabled a prolonged investigation of the town and the mining scarred land around it.